Real estate firm Hines has just received LEED gold certification for 75 Hawthorne at the Hawthorne Plaza, which comes in only second to the U.S. Green Building Council's numero uno rating, Platinum. 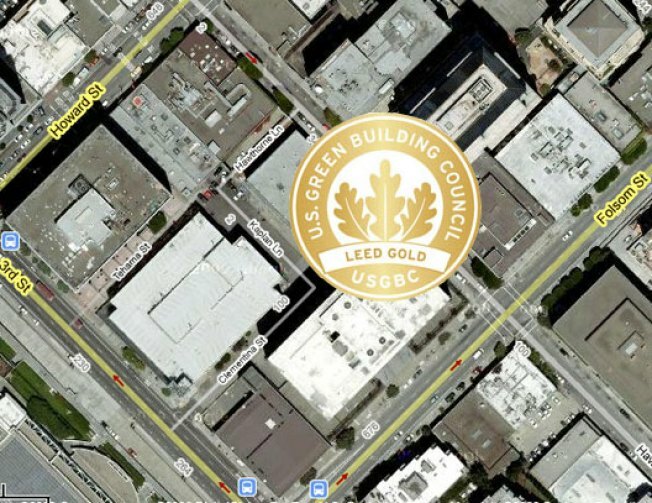 75 Hawthorne is also the first multi-tenant existing building in San Francisco to win LEED gold certification. The news is significant for Hines, because they're fixing to keep their prime tenant, the Environmental Protection Agency western headquarters. The EPA occupies 265,000 square feet of the space, which is more than 75 percent of the building. The EPA was looking to move because it wants to be a part of a green building. They're checking out 370 Third St., 1355 Market St., and 350 Bush St.
No word on whether or not they'll stay at Hawthorne now that it has a gold rating.